Questions from visitors to our blog | Kagoshima Love! I introduce some questions sent by visitors to my blog. I answered following questions. I introduced him a recommend hotel at the downtown of Kagoshima City. Every person has interest in different theme, so I helped her make travel schedule after asking her interests. I welcome this kind of questions, but it is appreciated if you tell me your special interests such as history, food or nature. Mt. Sakurajima is one of the most famous travel spots in Kagoshima, but there are many kinds way to enjoy the place. I asked him about his interests and made a plan for him. Terukuni shrine and Kirishima Jingu shrine are famous in Kagoshima, but there are other nice shrines in Kagoshima. I introduced shrines according to her travel plan. Many foreign travelers want to visit Mt. Sakurajima. Some of them asked me about the fare of Sakurajima Ferry. Since the traveler is interested in wild nature, I made a special plan for her so that she can enjoy nature of Kagoshima. The traveler has visited main cities in Japan. I introduced him a travel plan which puts emphasis on nature and hot springs of Kagoshima. Kagoshima is proud of fresh local foods. Also, I told him about unique festivals held in July in Kagoshima. Hello from Canada! I’m really enjoying your blog and Instagram. I am planning my next trip to Japan for November and will be going to Kagoshima for the first time – imojochu is my favourite drink and I want to see Sakurajima! Many foreign travelers are interested in delicious local Shochu of Kagoshima. I believe that many travelers will love unique foods and drink of Kagoshima. Some travelers asks me about something I don’t know. It is the good occasion for me to know more about Kagoshima and to improve my knowledge to become a good Kagoshima guides. 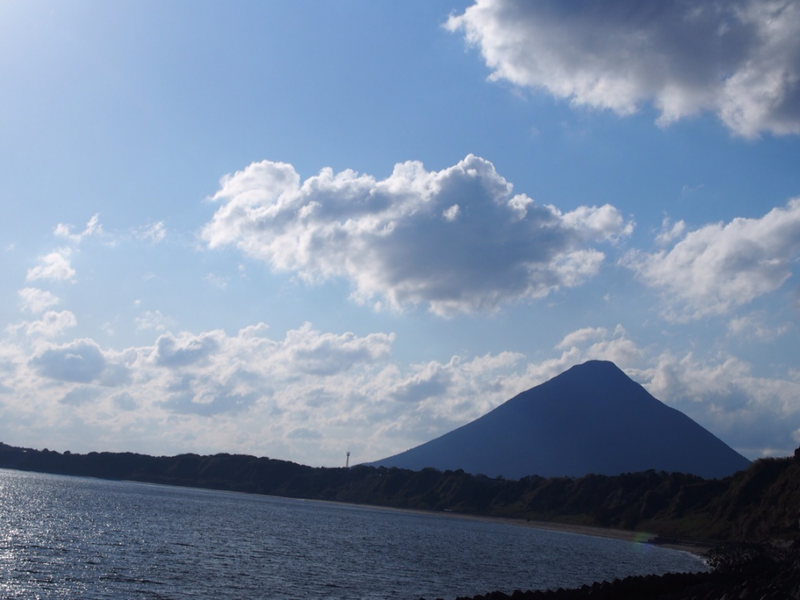 There are many good camping spots of good facilities in Kagoshima. Where else do you recommend? I introduced other travel spot according to his/her interests. We are going to Kagoshima by car in May. We are visiting Ogawa Waterfall, Suwa Shrine, Satadei Go and Sata Cape in Osumi Peninsula. We will stay at Michinoeki Nejime. Is it possible to visit all places? I suggested several advises to the visitor to improve the itinerary. Hi Sho! I come to Kagoshima frequently for work. I love this city so much that I am bringing some friends from the US to Kagoshima for New Years Eve. Do you know of any public New Years celebrations in Kagoshima? Thank you so much for putting together a very lovely blog! I introduced him/her some shrines which are popular in Kagoshima for new year celebrations. I answered that it is very comfortable to take the spa especially in cold winter! I saw your video on YouTube about Cape Sata, in the south of Japan. What is the most perfect to get to Cape Sata from Kagoshima-Chuo? I want to take a trip to Japan and visit the northernmost and southernmost points. Cape Soya is very accessible in Wakkanai. But there are no trains going from Kagoshima-Chuo to Cape Sata. I suggested an itinerary to reach Cape Sata. I am from Malaysia. I love travel and i really enjoy reading your blog. I’m interested to visit Kagoshima during spring and I’m planning to stay there for 3D2N. Would you please suggest me places i could visit with public transport since i’m going to travel alone. I prefer nature sightseeing, local foods and Spa. I hope to hear from you soon. Thanks! I suggested a travel plan to enjoy trip at Kagoshima. I’ d like to see Shenbon ichou n kanoya rose garden. Or is there any idea? Is it possible to visit both places in a day? Where should I stay? In kagoshima or tarumizu? How to get there from kagoshima chuo station? I answered those questions and recommended other travel spots at Osumi Peninsula. Recently manly foreign travelers are interested in living in Kagoshima. Please feel free to e-mail me if you have any questions about the travel in Kagoshima, Japan!